Opening your door to arriving in style. Cloud 9 Limo can help you find the right limo or chauffeured transportation option for your event. Whether you are going to the airport, planning a wedding or prom, or headed to the big game, it is important that you get the best vehicle and service for your money. There are many factors to consider when booking limo service. We hope this guide helps you get the most from your luxury transportation experience. Getting the right limo often depends on the type of occasion, number of people, number of hours you'll need and how far you're going. Most companies will need to know if this is for a wedding, concert, prom, birthday party or maybe an anniversary - and they often specialize in certain events to deliver the best possible experience. The more details you can provide, the better the value and service you'll receive. Cloud 9 allows you to enter all your trip details to get the most accurate quote online - and only displays limousines that can service your occasion, passengers, and address and meet our strict requirements. Not all limousine services are equal. Price should not be the only factor in your search. Much like renting a hotel, different price points often mean different service levels. It’s good to have a budget determined ahead of time, but also know what type of experience you want. 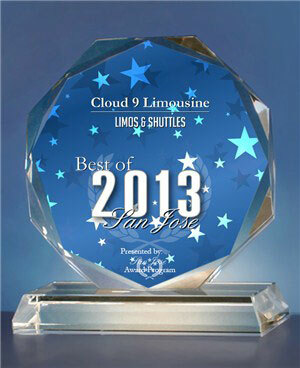 Cloud 9 Limo offers photos, descriptions and videos for all of our services. Often times, the right vehicle can make all the difference - a stretch Hummer for your next bachelor party or a classic antique for riding off in style from the wedding. Ensure the vehicle you're getting has the space, features and look for your next event. Try to book a vehicle that has room for at least one to two more people than are in your party. Some companies provide music (radio or satellite radio), so ask in advance or be prepared to take your iPod or a mix CD with enough music to last the whole ride. Also ask about features like the seating arrangement and luggage capacity for large group vehicles. Not sure which is the best ride for you? Check out our fleet page for vehicle details. Always make sure you are checking prices apples-to-apples between services. Each limousine company will generally have their own unique pricing policies. Most companies offer services priced by the hour - but may also offer flat/guaranteed rates for airport rides or sometimes all-inclusive packages. It is customary to tip drivers 15-20% of the base price. Some companies automatically charge a driver tip, while some leave it to the customer to decide. Be sure you get the full price up front when weighing your options. A package is often the best choice for special occasions like weddings, concerts, prom, sporting events or other ride types with a predictable start and end time. Packages will generally provide a set number of hours in a vehicle that fits your party size and event for a fixed, all-inclusive price. Some companies offer packages for every type of service and most give substantial "bulk rate" price breaks. Cloud 9 Limo offers packages for all types of occasions and specially negotiated deals you can't find anywhere else. Start searching well before you need your limo. For wedding limos, some people book 12-18 months in advance. 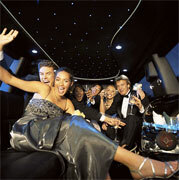 Other events, like proms, are best to book a limo a few months in advance. In general, it is best to start looking 3-4 weeks before your event. After you've selected the right limo service provider, get confirmation in writing. For special occasions, it's generally a good idea to contact your limo service provider a week before the event, just to ensure everything is confirmed. Cloud 9 allows you to get quotes and reserve limo rides as far as 24 months in advance. The most important thing to consider when booking a limo is safety for yourself and your party. Legitimate limo companies need to be registered with their state (US only), have the proper levels of insurance and be properly licensed. Never book a limo with a company that can't promptly show you their licensing and insurance credentials - don't take chances. Think about all the details of your ride experience. Do you need ice or drinks? Do you have a preferred route for your ride? What stops would you like to make? Providing these details to your chosen limo service provider will help them meet your needs - for the right price. Cloud 9 Limo allows you to provide a detailed ride summary and submit special requests as part of your reservation request. 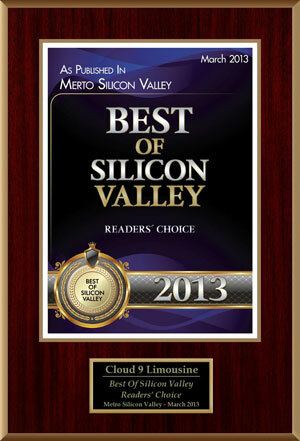 Cloud9Limousine Transportation is dedicated to providing quality service to our customers. Wheather is a small event or a large scale, you're planning a night out on the town on a day of shopping, or you need transportation for a corporate event or airport transfer, Cloud9Limo Services will provide a safe, relaxing and quality experience. Providing them with the most reliable, safe, and luxurious personal ground transportation possible. Our professionally trained and dressed chauffers work hard to provide you with the best Cloud9 chauffeured limousine service. We offer limos with all the comforts you need, including a bar complete with glassware, champagne cooler, stereo and television. Our Limousine reservation agents will happily provide you with all the detailed information on the features and generous passenger capacities of our limousines. It is our goal to build a continued relationship with you from the first person you speak to when making your reservation, to the time your chauffeur brings you to the destination. Using the fastest, safest routes, we avoid problem areas, accidents, and traffic situations to help you start your party or meeting on time and ensure that your flight departs with you sitting comfortably in your seat. Every time one of our Cloud9 limousines is rented you are guarenteed to have one of the most luxurious and elegant vehicles on the road. Every corporate and personal account we service for airport transportation, business travel, wedding or a night on the town receives our attention to detail and the finest in chauffeured luxury transportation.Cloud9 Limousine Rentals commitment for safety comes from the top. Every day and every trip we put your safety, enjoyment and comfort first. Cloud9 limousines fleet is maintained in top operational readiness due to our demanding maintenance program and dedication of our fleet mechanics. We can handle large parties with our SUV limos or just you and a few friends in our luxurious towncar limos. Our reservation center is prepared to handle all customer service needs 24 hours a day, 7 days a week. Cloud9 limos is always at your service and willing to take you out to have a good time. Our reservation agents are happy to provide you with detailed information of the features and spaciousness of our limousines. Cloud9 Limousines is large enough to handle all of your transportation needs yet small enough to provide personalized service. Our commitment to quality, safety and customer satisfaction is carried on by our staff of drivers and representatives. When compared to the per person cost of other luxury transportation options, you'll find our rates competitive and our service exceptional. Travel in style and comfort to any special occasion in one of our elegant Cloud9 stretch limousines. 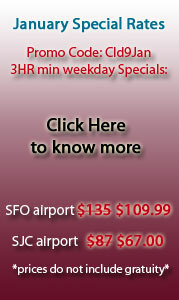 We offer limo services in bay area, here are some of the special events we offer limo service for: Anniversaries | Airport Shuttle Service | A Night on the Town | Business Meetings | Proms | Weddings | Bachelor/Bachelorette Parties | Golf Outings | Sporting Events | Concerts | Napa Valley Wine Tours | Any Special Occasion!